Engaged Capital is again calling for Rent-A-Center to sell itself. Shortly after the decision was made to explore its options, Rent-A-Center's board chairman resigned. Rent-A-Center Inc. (RCII - Get Report) is under pressure again. The Texas-based rent-to-own furniture operator said late Monday, Oct. 30, that it will explore "strategic and financial alternatives" as it faces mounting pressure from activist investor Engaged Capital. The move is often considered a sign that a company is looking into selling itself. Engaged Capital has over 20% stake in Rent-A-Center and had earlier this year called for the company to sell itself. Shortly after Rent-A-Center announced plans, Engaged Capital released a statement including the following: "While Rent-A-Center previously failed to pursue credible bids at meaningful premiums to the prevailing stock price earlier this year, we wholly expect the Board and senior management team to earnestly pursue strategic alternatives for the benefit of all stockholders following today's announcement." Engaged Capital asked management to "expeditiously begin the due diligence process with the numerous publicly reported strategic and financial buyers that have already provided indications of interest in acquiring Rent-A-Center, beginning with the opening $15 per share bid from Buddy's/Vintage Capital." Rent-A-Center had previously rejected a takeover from Buddy's/Vintage Capital earlier this summer, calling it "inadequate and opportunistic." In the midst of the decision to hire advisers for a possible exploration of a sale, Rent-A-Center reported wider-than-expected per share loss of 15 cents for the third quarter. In the same announcement detailing its decision to explore options, Rent-A-Center said its board chairman Steven L. Pepper would resign, effective Tuesday, Oct. 31. California-based Engaged Capital said it "is also pleased to see that the apparent impediment in the boardroom towards running a strategic alternatives process has been removed." 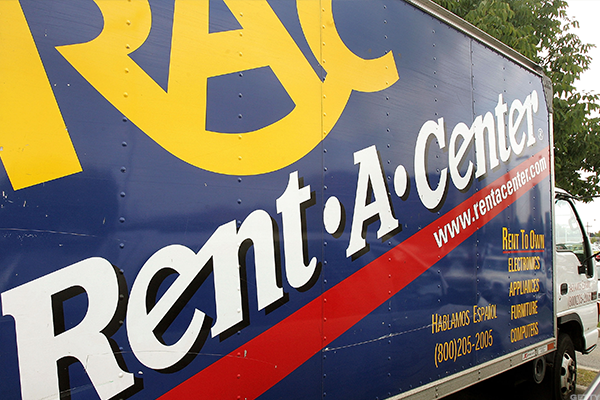 Rent-A-Center shares were higher 4.17% to $10.49 in premarket trading Tuesday.